The Turkish government facilitates the movement of jihadists between Syria and Turkey, according to a report by a Turkish organization “Right to life, against war”. It reflects the situation in the province of Hatay which is on the border with Syria. The report suggests that the border area has become a hub for jihadists from various nationalities: on the border al-Nusra Front has a strong hold and inside the city Daesh has its command. Despite the fact that a lot of time has passed since the terrorist attack on May 11, 2013, in the town of Reyhanlı of the Hatay province, the region’s population still lives in fear that the explosions may take place again. In the city the Arabs, Alawites and Christians are subjected to severe harassment. Sunnis are being provoked, using provocative rhetoric. Stagnation of the economy, high unemployment, low wages and a complete lack of stability all of this has become chronic, becoming an integral part of realities of life in Hatay. Local residents have abandoned the settlements of Reyhanli, Altinozu and Yayladagi. There are training camps of extremists of Ahrar al-Sham and al-Nusra Front in those areas now. Ali Ergin Demirhan, the group coordinator responsible for drafting the report “Right to life, against war” spoke to Sputnik in an interview about the grim situation in Hatay. 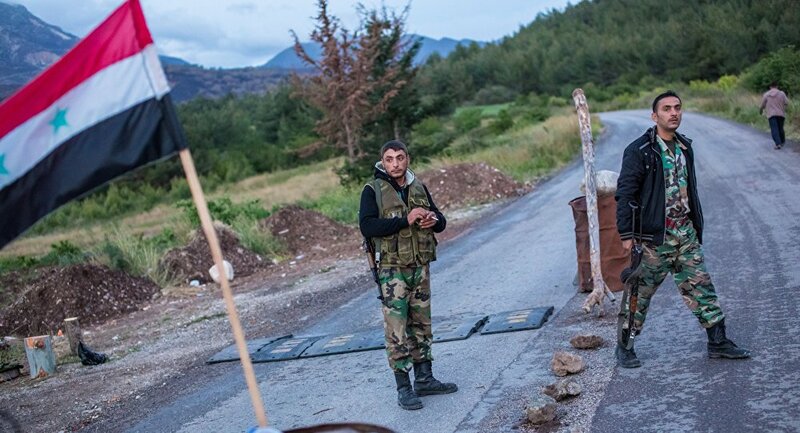 The report emphasizes that after the aerial bombing of terrorist positions by the Russian Aerospace Forces the access route to Azaz-Antep was blocked so the militants had to relocate with the number of jihadists coming to Hatay rising. Ali Demirhan recalled that after the Turkish military strengthened the border controls, jihadists launched a series of attacks on border posts. In particular, at Güveççi there was a case when one soldier at a checkpoint was attacked and his throat was cut. “Events at the border posts in the region usually have a similar scenario. The soldiers stop suspicious persons who intend to cross the border without a vehicle inspection. They want to check their documents, but do not manage to, because very quickly gendarmes arrive at the spot and transfer the vigilant soldiers to other duty stations,” the author said. According to data cited in the report, at the end of 2015 in the area of Bayır Bucak due to frequent clashes the border controls were eased and large number of Turkmen refugees flooded the territory of Hatay. However, as it turned out, about 80 percent of the refugees who came under the guise of peaceful Turkmen became the militantscoming from Central Asia, North Africa and the Caucasus. This provides a kind of protection for those who arrive from Syria. Arriving in Turkey, they fall into the category of victims, than they are transported to humanitarian non-governmental organizations under the guise or employees of the organization or are treated like victims who are sent back to the refugee camp. There is also information provided in the report, that in an old hostel building situated in Anayazi, there are Daesh members who are waiting to be shipped to third countries. According to Demirhan, this information has been confirmed by various sources, but the administration of Hatay has not made any official statement on the matter. Demirhan emphasized that jihadists in Hatay can demonstrate that they belong to one or another terrorist group completely freely. The author of the report said that the country’s leadership could bring an end to all this mayhem, if they wanted to. A large number of security forces and intelligence is located in the province. Recently about 40 activists tried to organize a protest in the city so for their dispersion, local authorities mobilized a whole army of military police. “The government is aware of all the crossing points of insurgents across the border and the camps in which they are trained,” Demirhan said.